Although the practice of taking selfies – as well as the word “selfie” – have been knocking about for quite a while now, it’s only fairly recently that popular culture has adopted it. As with any craze sweeping the digital world, app developers have sought to capitalize on the heightened interest in the selfie by developing an abundance of apps for this very purpose, and although many are rather gimmicky and scarcely enhance the functionality of the front-facing shooter, a new iPad offering looks to buck this trend. 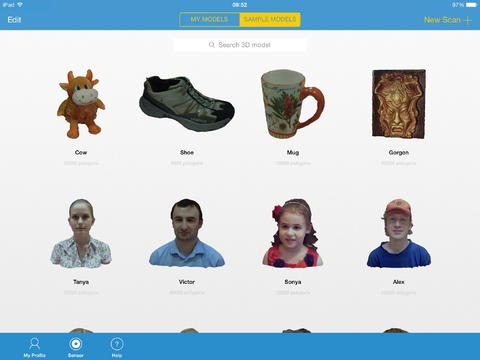 In collaborating with computer vision outfit Occipital, the Itseez3D app can turn you, or anything you take with your device’s camera for that matter, into a 3D masterpiece, and as you’ll see from the screenshots, the results really are something to marvel at. 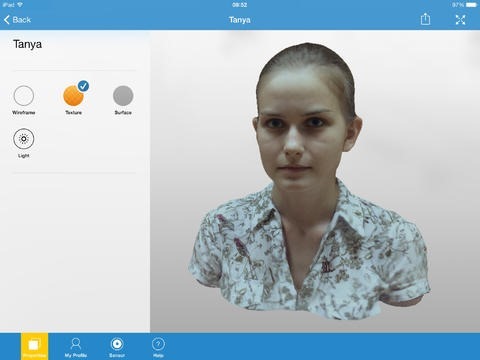 The app provides all of the functions necessary to 3D-fy just about anything, and although we’re a little too creeped-out to try this out on our own faces, it’s definitely an app that could gain traction among the selfie-loving masses. The main component of the app is the Structure Sensor, and you’re also permitted to make some adjustments of your own as your 3D model is configured and brought to life. After a very successful Kickstarter campaign that saw the app gather a whopping $1.3 million in backing from over 3,500 individuals, the Structure Sensor could become the driving force behind a spate of apps similar to Itseez3D. Given how much we love posting pictures of our faces onto social networking sites as it is, the likes of Itseez3D offer something completely different, and although it’s too early to tell just how many devs will jump on the Structure Sensor bandwagon, methinks we could be onto something big here. 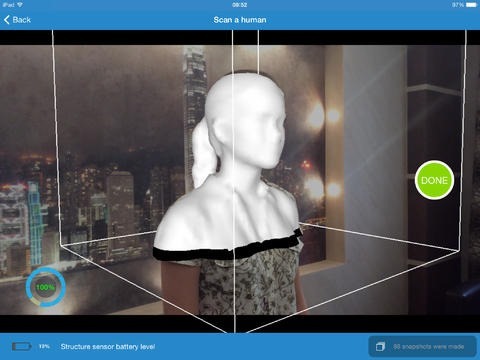 As we wait to see whether Occipital’s quite spectacular technology becomes a mainstay in the app development world, be sure to give Itseez3D a try. It works as described on the official App Store page, and it is pretty cool on a lot of levels, and, oh – it’s also free, which we love.